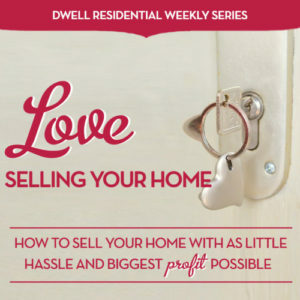 If you’ve been thinking about selling your home and are just not sure of the steps involved or even where to start, then our 12-week Love Selling Your Home series is a must for you. Each week, you’ll get great tips, tactics that work, and some of our best-kept secrets for sellers. We want to make sure that you sell your home for the most profit possible AND with as little stress as possible. Sounds good, right?! Whether it’s your first time selling or not, this tutorial series breaks it all down, step by step. You’ll be better prepared and not feel overwhelmed. Plus, our bonus article on selling and buying at the same time is a lifesaver! Week 1: How to Find the Best Agent to Sell Your Home — Here’s a breakdown of certain traits to look for when choosing an agent for YOU and your specific home. Selling your home can be stressful and you want to make the right choice from the get-go. Time means money! 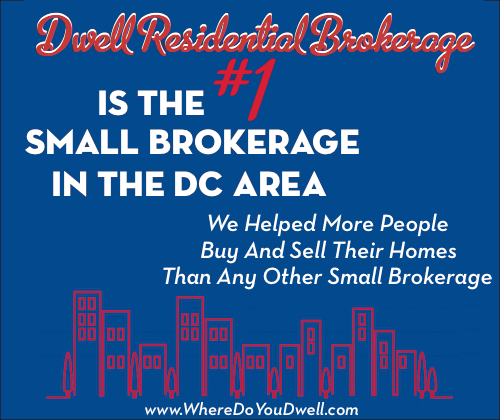 Even though Dwell Residential would love to work with you, we may not be the best fit for your specific home. We’ve got several awesome agents here, and how do you decide if one of them is right for you? We’ll make sure you get it right. Week 2: Is Your Home “Sellable”? — Here’s what you need to look for when determining the “sale-ability factor” of your home, such as its condition, certain terms such as timing and incentives, or even how many investors are living in your condo building (It does make a difference!). You want to make sure you’ve got a home that can be a viable choice for both buyers AND lenders. We’ll discuss the importance of a competitive market analysis for your home at this stage. Week 3: Easy Fix-Ups to Make Your Home Shine – You want your home to look its best when you list it. You’ll learn what’s worth the time and effort when it comes to preparing your home for buyers. We’ll also warn you about what not to do so buyers don’t avoid your home. Week 4: “The Price is Right” Gets Your Home Sold – If your home is priced right from the start, you’ll get the foot traffic it deserves. Too low or too high can set you back and discourage your target buyer. We’ll share the exact strategies we’ve used to price hundreds of homes. Week 5: Marketing Your Home to Sell Quickly and Profitably – Selling your home requires a marketing strategy. Here at Dwell Residential, we’ve come up with a formula that works every time, for every home, and every seller. This customized approach to marketing your home gets the results you want, attracting buyers who mean business! Week 6: When to Say “Yes” to an Offer –You could have several offers coming in when you sell your home. How do you decide which is the best one? It’s not always the one with the highest price. You’ll get the guidance you need to make a decision that is best for your particular situation. Week 7: How to Negotiate from Contract through Inspection — As a seller, you need to understand negotiation tactics and trust your agent. Here’s your guide on how to handle contingencies and other items that may arise during the negotiation period. Week 8: What’s an Appraisal and Why Does It Matter? When your home is under contract, you can’t move forward with the sale until an appraisal is done on your home. The outcome can affect your deal and the price you’ve set for your home. You don’t want the appraised value of your home to come in below the asking price! Here are our tips for making the outcome a positive one for you. Week 9: Pre-Closing Tasks to Check Off Your List – There is a lot to get done before closing day. Here’s a handy checklist to make sure you get it done and what to expect from the buyers (such as an inspection). You don’t want your deal to fall through if you forget something or miss some important paperwork. Week 10: Get Organized for the Big Move & Beyond – You’ve been so busy selling your home, did you forget you need to actually pack and move out!? Here’s the help you need to get organized for moving day, and also what you need to do before you leave your home to the new owners. Week 11: How to Make Settlement Day a Success – It’s finally here! To make sure the transaction take places without a hitch, you need to know what to expect, what to bring, and what to do for the actual day you sell your home. Congratulations!! Week 12 BONUS: How to Buy and Sell at the Same Time – This is a big Catch-22 for homeowners! What to do first, buy a new home or sell your current home? Learn how to make sure whatever you choose you don’t end up owning two homes or no homes!